WASHINGTON Gains in housing and manufacturing propelled the U.S. economy over the winter, according to reports released Tuesday, and analysts say they point to the resilience of consumers and businesses as government spending cuts kick in. U.S. home prices rose 8.1 percent in January, the fastest annual rate since the peak of the housing boom in the summer of 2006. And demand for longer-lasting factory goods jumped 5.7 percent in February, the biggest increase in five months. 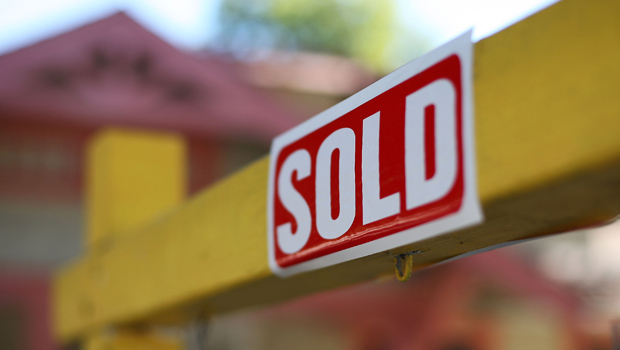 February new-home sales and March consumer confidence looked a little shakier. But the overall picture of an improving economy drove stocks higher on Tuesday. The Standard & Poor's 500 gained 12 points to close at 1,563 - a point away from its record high reached in October 2007. The Dow Jones industrial average rose 111 points, its biggest gain in three weeks. "There is nothing in this data that says the economy is falling back," said Joel Naroff, chief economist at Naroff Economic Advisors. A recovery in housing has helped lift the economy this year and is finally restoring some of the wealth lost during the Great Recession. The year-over-year rise in home prices reported by the Standard & Poor's/Case Shiller 20-city index was the fastest since June 2006. Prices rose in all 20 cities and eight markets posted double-digit increases, including some of the hardest hit during the crisis. Prices rose 23.2 percent in Phoenix, 17.5 percent in San Francisco and 15.3 percent in Las Vegas. The strength in home prices has far from erased all the damage from the crisis. Home prices nationwide are still 29 percent below their peak reached in August 2006. Still, steady gains should encourage more people to buy and put their homes on the market, keeping the recovery going. And higher home prices make people feel wealthier, which leads consumers to spend more and drives more economic growth. Sales of new homes cooled off in February to a seasonally adjusted annual rate of 411,000, the Commerce Department reported. That's down from January's pace of 431,000, which was the fastest since September 2008. But February's pace was still better than every other month since April 2010, when a temporary home-buying tax credit was boosting sales. And sales are 12.3 percent higher than a year ago. "We are still far from the healthy level of 700,000, but we're slowly making our way in that direction," said Jennifer Lee, senior economist with BMO Capital Markets. "We just have to accept the fact that the path will be interrupted once in a while and that's what happened in February." Manufacturing is also boosting the economy this year, and factories were busier in February, according to a separate Commerce report on durable goods orders. February's increase was driven by a surge in commercial aircraft orders, which tend to be volatile. Still, orders for motor vehicles and parts increased solidly, suggesting demand for cars and trucks remains strong. Orders for machinery and other goods that signal business investment plans fell sharply in February. But the decline followed the biggest monthly gain in nearly three years. Economists had expected companies to ease up after January's spending spree. When looking at the two months together, business investment has accelerated from the end of last year and should contribute to economic growth. One concern is that tax increases and government spending cuts could stunt the economy's momentum. Both weighed on consumers' minds in March. The Conference Board, a New York-based private research group, said its Consumer Confidence Index fell to 59.7 this month, down from 68 in February. The decline was mainly due to a drop in expectations for the economy over the next six months, though consumers also were more pessimistic regarding current economic conditions. Some economists think the timing of the survey may have exacerbated the decline. The survey was conducted from March 1 through March 14, just as $85 billion in automatic spending cuts began. Consumers were already feeling pinched by higher Social Security taxes that have reduced take-home pay for most workers this year. And gas prices rose sharply in February, before easing slightly this month. "It was sort of a perfect storm," said Chris G. Christopher Jr., director of consumer economics at IHS Global Insight. "I do expect confidence to rebound as long as there is no government shutdown and the political bickering in Washington doesn't reach a fever pitch." A healthier job market is also likely to make people feel a little better about their finances. Employers have added an average of 200,000 jobs per month since November. That's nearly double the average from last spring. The job gains helped lower the unemployment rate in February to a four-year low of 7.7 percent. Christopher expects economic growth in the January-March quarter to rise at a 2.9 percent annual rate. That would follow a meager gain of 0.1 percent in the October-December quarter, which was largely due to temporary factors, including sharp cuts in defense spending. Naroff says the government spending cuts taking effect, known as sequestration, could reduce growth by a full percentage point this year. Still, even with the drag, he expects economic growth for 2013 to be around 2.6 percent. That would be better than the 2.2 percent growth in 2012.